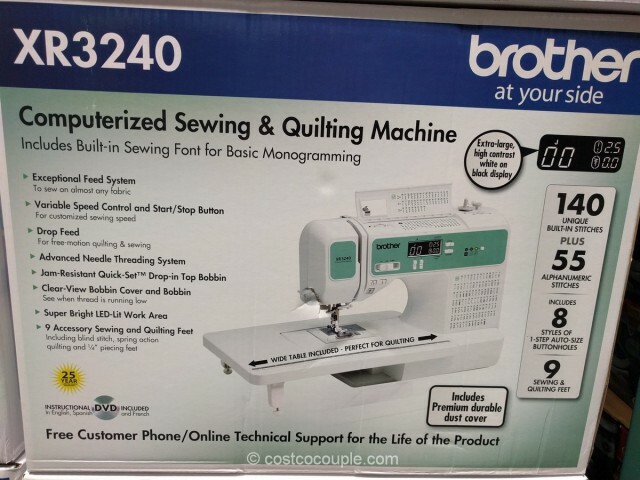 The Brother XR3240 Computerized Sewing Machine is the updated version of the Model XR3140 that was offered last year. 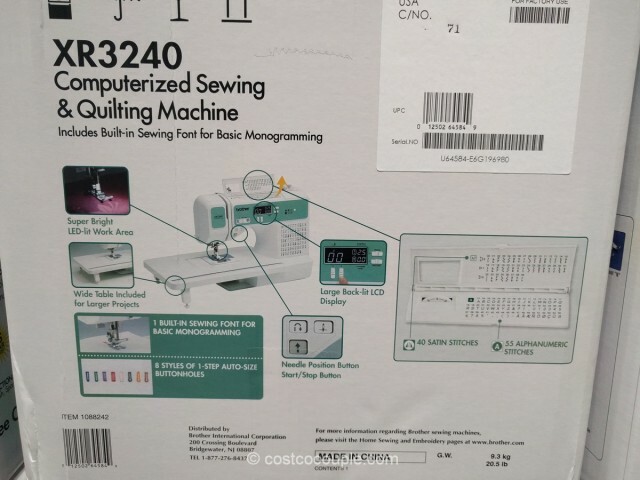 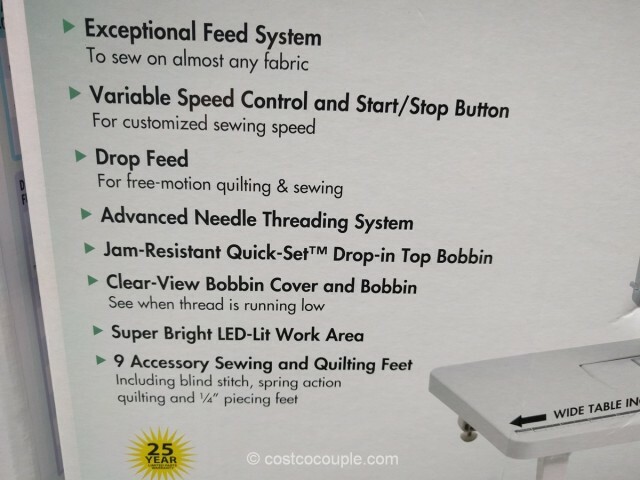 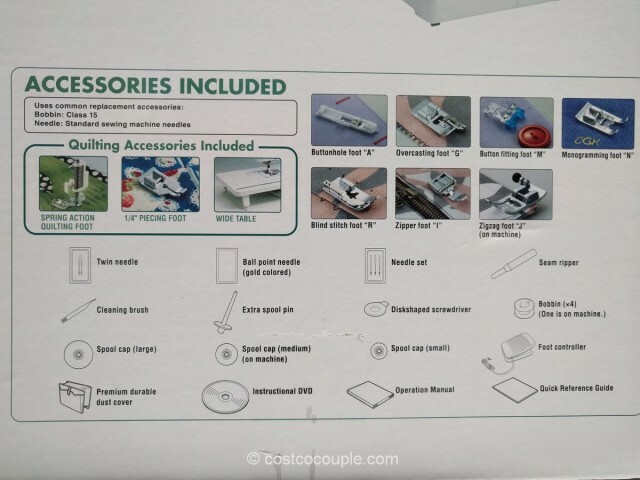 This model features 140 sewing and quilting stitches, 55 alphanumeric stitches for basic monogramming, 9 accessory feet, and 8 styles of one-step, auto-size buttonholes. 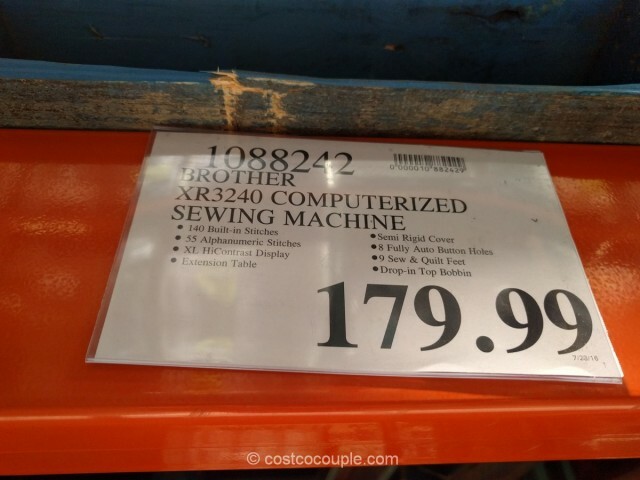 The Brother XR3240 Computerized Sewing Machine is priced at $179.99.